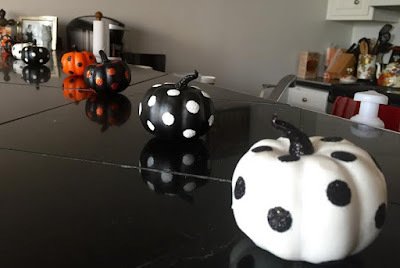 Something that I love about fall is that it kicks of decoration season! From Halloween-Easter, I rotate several holiday decorations. The lull after Easter always makes my house feel empty, but when I get to bring back out all of the Autumn decor, it makes the atmosphere so much more cozy! These gold candles from HMK I keep out all year because they are gorgeous, but they look even cuter next to a Halloween sign and tiny pumpkin from Home Goods! This candle from Bath and Body Works is one of my favorite transitional scents. 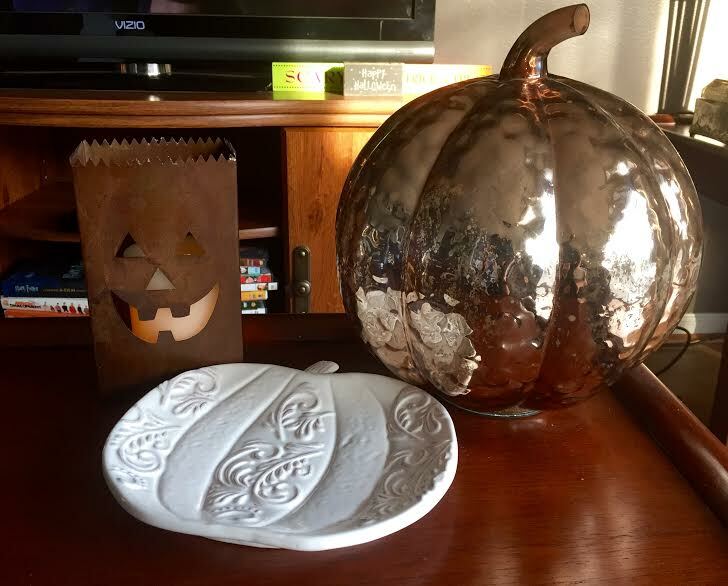 I love the way the candlelight bounces off these adorable mercury glass gourd and candle holder from TJ Maxx & Home Goods. How adorable are these tiny, polka-dot pumpkins from Target?! I grabbed these last year, but I also saw they this year they brought them out in several different tones - including gold! Some more gold? Check. I love this pumpkin that I found at Home Goods last year, and my mom gifted me this adorable shabby-chic disk and tin jack-o-lantern that I've added a flameless candle inside. This trio is so eye-catching on my coffee table, I love it! Well hello there, Mr. Skeleton! This happy guy brings Halloween and El Dio de los Muertos vibes to my space. 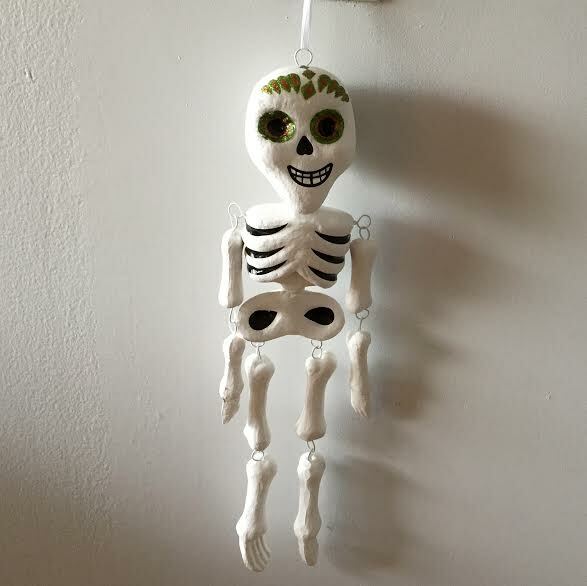 I have this guy, who I got at Target last year, hanging from a light switch on the entry-way to my kitchen. Not entirely specific to only fall, this ladder I grabbed at an antique store in the West Bottoms of Kansas City looks SO COZY with the blankets displayed on them. It was a great way to fill an empty space and to display and store my prettier blankets. 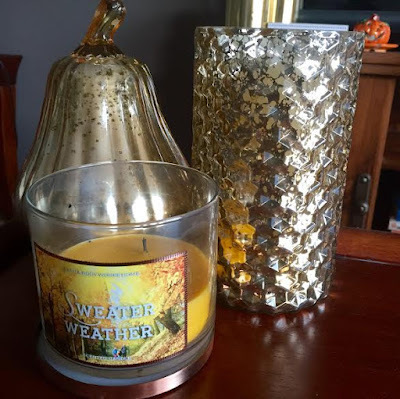 What are your favorite decor items to transition into fall?! I never thought of Fall being more cozy because we decorate more, but it's true. 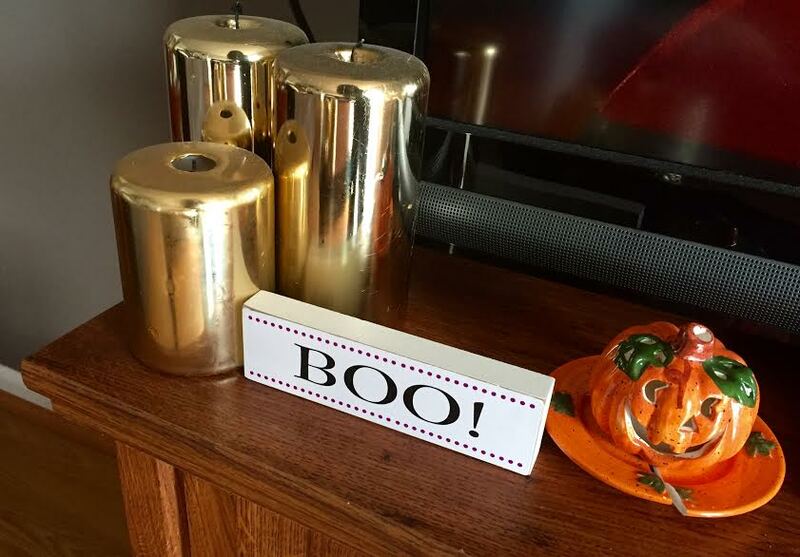 The fall is when the blankets, candles and trinkets come out. 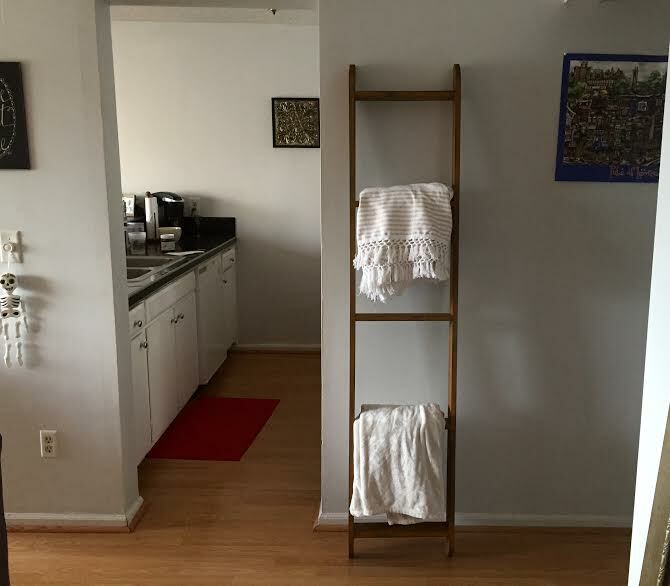 We go fairly bare-minimum for the summer. Your Target pumpkins are so cute! Happy fall. Sweater Weather Candle.....my obsession!!! I love stocking up on Bath & Body Works Candles (only when they are on sale though), especially their fall ones. Mahogany Teakwood is another favorite.